Uwharrie National Forest, approximately 51,000 acres of National Forest System lands, is located in Montgomery, Randolph and Davidson Counties. 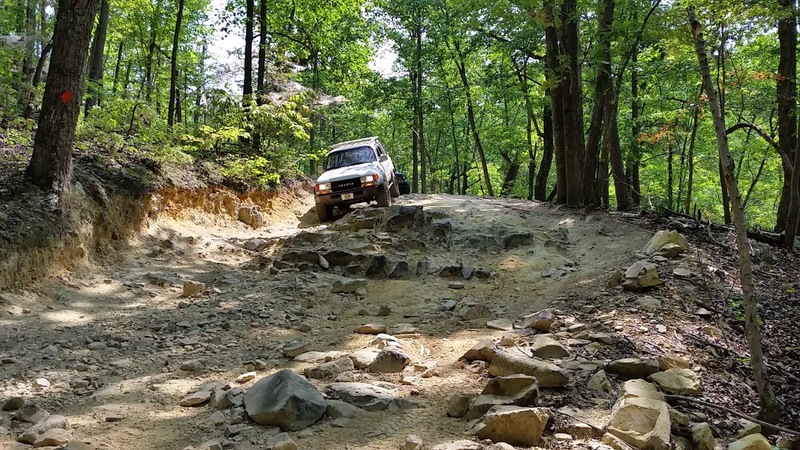 Uwharrie is a natural playground full of endless possibilities for nature lovers, outdoor enthusiasts, folklore lovers and families. Recreationists enjoy challenging off highway vehicle trails, hunting, fishing, boating, kayaking, gold panning, horseback riding, hiking, mountain biking and more. Friends Of Uwharrie represents you, the recreationist, in the greater Uwharrie National Forest area. Our goal is simple, we are working to bring people together to help preserve and protect this wonderful resource now and for future generations. 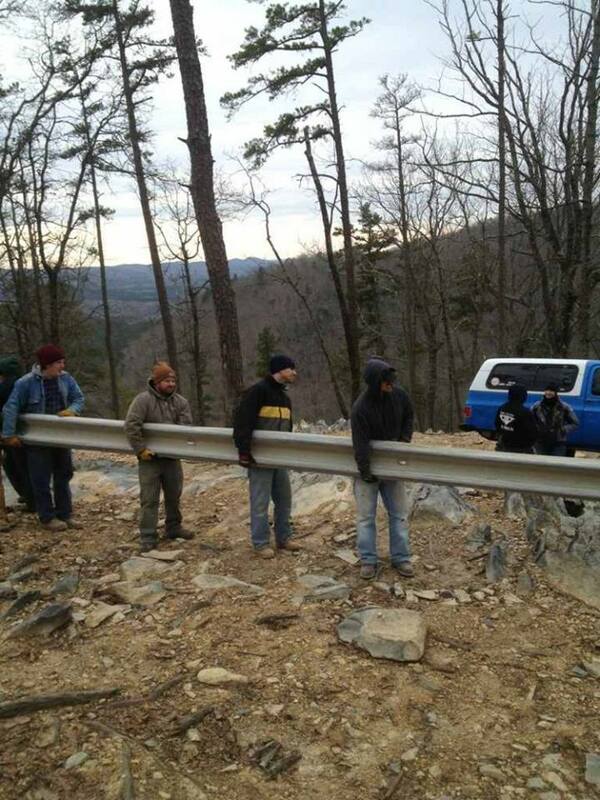 We are a non-profit organization that helps maintain and preserve the Uwharrie National Forest. We work with a coalition of land owners, outdoor enthusiasts like you, and business owners to bring charitable contributions, volunteer time and resources together to help maintain the trail systems, preserve natural habits and create new opportunities for you to explore. 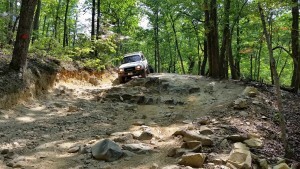 There are approximately 20 miles of challenging off highway vehicle trails consisting of steep, rocky, muddy sections, stream crossings and loose gravel in the Uwharrie National Forest located in the North Carolina Piedmont. The US Forestry Service continuously works on these trails to keep a balance between our desire to explore and enjoy the trail system and nature’s needs. Each month the USFS holds a volunteer workday encouraging the many clubs that enjoy the trail system to spend a day assisting with physical maintenance that the system requires but cannot afford to fund. 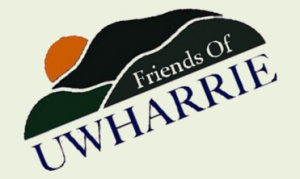 Friends of Uwharrie is a non-profit organization that helps maintain and preserve the Uwharrie National Forest. We work with volunteers to help the US Forestry Service complete projects that are critical to keeping this beautiful resource available for thousands to enjoy each year. Hi Shelby! We welcome all enthusiasts! We hold a work day each month on the 3rd Saturday of the month. January is an exception, it is the 4th Saturday. We meet up at 9 am at the Uwharrie Hunt Camp on HWY 109. We clean trails, cut brush, install railings, move rock, close bypasses, etc on all trail systems. You are welcome to join our work group any time! Please follow our FB page facebook.com/friendsofuwharrie for more information. Thank you! Mountain biker but will help where ever you need ! Awesome! Robert please follow us on our Facebook page http://www.facebook.com/friendsofuwharrie we have workdays scheduled the third Saturday of each month, 9 am at the Uwharrie Hunt Camp located on HWy 109. More details are on our FB page. Thank you!